Dapchi school shut down over abduction. 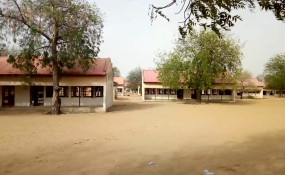 The Borno State Government has approved the closure of all boarding secondary schools located outside Maiduguri, the state capital. The closure was effected following the recent attack on Dapchi village of Yobe state by Boko Haram gunmen during which about 100 schoolgirls were abducted. The state government said it took this far reaching decision after an expanded security council meeting of all security, government and traditional leaders that held on 15 March, 2018. The security council who met at the office of the state governor, Kashim Shettima, also discussed the need to return internally displaced person to their reclaimed and rebuilt communities. To that effect, the stakeholders agreed that elaborate security infrastructure and personnel must be put in place before flagging off the return to communities. According to the statement issued by the state commissioner for home affairs, information and culture, Muhammed Bulama, the council has also okayed the opening of the Maiduguri-Bama road on March 24, for all civilian traffic. The road has remained closed for over three years now. The security council meeting also expressed worry over the continuing attacks by Boko Haram to which it resolved that any persons or group found to be taken sides with the insurgents would be made the full wrath of the law. "Sequel to the unfortunate recent attack on Rann town in Kala-Balge LGA by Boko Haram, urgent and immediate measures will be taken jointly by the Borno State Government and the Nigerian Armed Forces and other security agencies to forestall future occurrences there and in other vulnerable communities in the State. "Elaborate security, infrastructural, personnel and logistics arrangements will be put in place preparatory to the imminent return of IDPs to Bama, Gwoza and Dikwa LGAs and the subsequent return of their Royal Highnesses to their respective domains. "To speedily establish structures of civil authority, viz, Local Government Council authorities, para-military agencies, the judiciary and traditional authorities, as pre-requisite to relocating IDPs to their LGAs of origin. "Maiduguri - Bama - Banki Road will be re-opened on Saturday, 24h March, 2018 to civilian traffic. "In order to improve on, and enhance existing intelligence gathering techniques, the Nigeria Armed Forces was implored to encourage senior military officers in command positions to closely liase and synergise with traditional rulers in their areas of operation and also endevour to regularly attend the meetings of the security Committees at the LGA level. "All boarding secondary schools in the State with the expectation of those in the Maiduguri and Biu Metropolis will, until further notice, be closed down with immediate effect. "Any person(s) or group found to be collaborating with Boko Haram, no matter how highly placed or highly connected, will be speedily brought to book in accordance with the laws of the land. iii. All dealers in illicit drugs and substances as well as drug abuse offenders, no matter their position in society, will be speedily brought to book in accordance with the laws of the land. "All premises in the State where the illegal consumption of alcohol illicit drugs and substances, and other vices detrimental to the moral well-being and security of society take place, especially in the Galadima Area of the Maiduguri Metropolis, will be closed down immediately. "Relevant agencies of Government, both State and Federal, will be mobilized and empowered to address the menace constituted to the general public by some operators of commercial tricycle, popularly known as Keke NAPEP. "The Borno State Government will facilitate the establishment of a biometric data capturing centre for the issuance of Saudi visas in order to ease the anticipated suffering of intending pilgrims to the Holy Land."